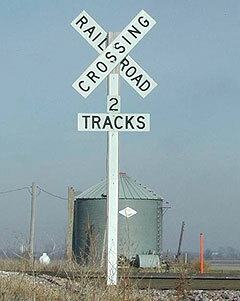 The Iowa Transportation Commission has approved 4.2 million dollars in funding to upgrade railroad crossings in the state. Peggy Baer, the director of the D.O.T. office of rail transportation, says they are projects where new signals are installed, or signals are upgraded, or new yield or crossbuck signs are put in. Baer says Iowa has around 5,100 public crossings. Baer says their experience has been that crossing crashes are going down while the train and car traffic is going up. She says that is good news. Baer says there are a number of reasons the number of crashes have dropped, including a consolidation in the number of crossings. Baer says the public is aware that there is traffic at all the crossings, public safety campaigns and they put in several new signals every year. Federal money makes up 90% of the rail crossing improvement money given out by the D.O.T., with the state or the railroad kicking in the rest.